Review: Claire hears the chinking of WallyÕs chain on the pole next door. ItÕs not even that she likes dogs; she just doesnÕt think anything should have to go through what he has. Eventually Claire convinces Danny, WallyÕs owner that Wally is a good dog deserves to be treated like it. Claire, and Danny develop feelings for each other, but what happens when DannyÕs abusive father gets tired of Wally? Read Whippoorwill by Joseph Monninger to find out. 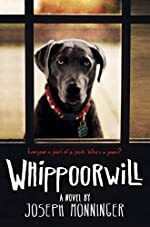 Junior high, and high school kids will love Whippoorwill because of all of the crazy plot twists, and the plot and writing is done so well that even adults will love Whipporwill just as much as kids. Author Joseph Monninger really knows how to write from all different points of view, almost as if he was living the story. This book shows that a little kindness goes a long way. Whippoorwill has everything you might want in a book, an adorable dog, sad start, and just a hint of romance. 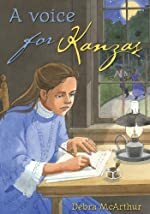 We would like to thank Houghton Mifflin Harcourt for providing a copy of Whippoorwill for this review. Have you read Whippoorwill? How would you rate it? How to Swallow a Pig: Step-by-Step Advice from the Animal Kingdom by Steve Jenkins. 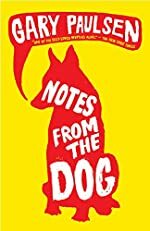 Review: Have you ever wondered what it's like to be an animal? Have you ever wondered how they survive in the wild? 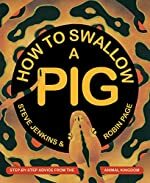 Well, in How to Swallow a Pig: Step-by-Step Advice from the Animal Kingdom by Steve Jenkins is a perfect choice for curious elementary students who like animals. This book is filled with many interesting facts on a variety of animals. It explains how a python can swallow a pig, how to catch a meal like a crocodile, or even how to disguise yourself like an octopus. The vocabulary is not hard. 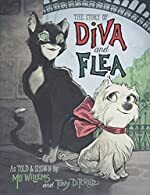 A first and second grader might enjoy this book but it would have to be read to them and they might need to see the pictures to understand the concept of the book. The pictures are fun and interesting, so all readers are sure to be engaged. Adults could learn something from this book too. The vocabulary is appropriate for an upper-elementary reader. I enjoyed this book; it was very interesting. At first when opened the book; I thought it was for little kids because of all the pictures, but then when I started reading it, I saw it was very informative. If you like animals and want to learn about them, How to Swallow a Pig, is for you. We would like to thank Houghton Mifflin Harcourt for providing a copy of How to Swallow a Pig: Step-by-Step Advice from the Animal Kingdom for this review. Have you read How to Swallow a Pig: Step-by-Step Advice from the Animal Kingdom? How would you rate it? Legends: The Best Players, Games, and Teams in Football by Howard Bryant. Review: TOUCHDOWN!!!!!!!!!!!!!!!!!! 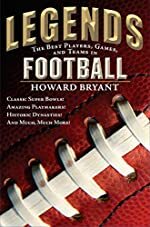 Legends: The Best Players, Games, and Teams in Football by Howard Bryant is about players in American Football becoming legends and playing in the Super Bowl, and how coaches become some of the most famous people in the world, and it's even about how they got the trophy named after them! Legends gives readers an inside look into the world of football. Legends by Howard Bryant is a book that I enjoyed very much because I love Football. It probably is not the best choice for people who don't have a passion for the sport. The vocabulary in this book is average for a middle school student, which makes it perfect for that age group. Howard does an amazing job at making all of his chapters a cliffhanger by showing most of the teams scores and wanting you to read the next chapter wanting to know which teams will make the playoffs and the Super Bowl, which makes you want to read more and more, and then you realize that the book is over. Legends is a great book to reach those reluctant middle school readers. We would like to thank Penguin Random House for providing a copy of Legends: The Best Players, Games, and Teams in Football for this review. Have you read Legends: The Best Players, Games, and Teams in Football? How would you rate it? Tom Gates: Everything's Amazing (Sort Of) by Liz Pichon. A Tom Gates Book. 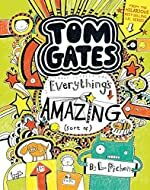 Review: Everything seems to be amazing for Tom Gates, but in Liz Pichon's Tom Gates series, Tom Gates: Everything's Amazing (Sort Of), Tom finds that everything might not really be quite so amazing. Tom Gates gets ready for his birthday and school disco and hopes that he can stop them from becoming a complete failure. The intended audience for Tom Gates Everything's Amazing (Sort Of) is for kids ages 8-12, and the vocabulary is perfect for that age group. 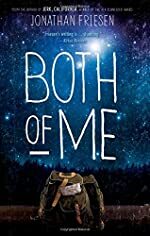 The protagonist is a middle school student and is a fun character that readers will enjoy, and the plot of Tom Gates Everything's Amazing (Sort Of) is not complex, which makes it a fun and easy read. The moral of Tom Gates Everything's Amazing (Sort Of) is that you shouldn't assume anything or you can make things worse for yourself. The illustrations in this book are humorous and add to the enjoyment of the book. Review written by Connor (6th grade student). We would like to thank Candlewick Press for providing a copy of Tom Gates: Everything's Amazing (Sort Of) for this review. Have you read Tom Gates: Everything's Amazing (Sort Of)? How would you rate it? The Adventures of Beanboy by Lisa Harkrader. 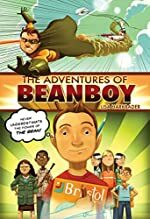 An Adventures of Beanboy Book. 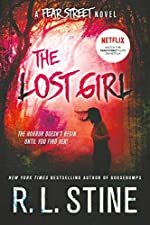 Review: Weird, likable, and interesting. In Beanboy you will find 4 interesting characters: Two 7th graders named Tucker and Sam. Beech, Tucker's little brother and Tucker's mom. In Beanboy Tucker MacBean is going through some hard times. His mom is always at work, and he and his brother Beech are forced to do everything by themselves. Tucker is really into comics and there is this competition going on where you have to create a comic sidekick. The best one wins a big money prize. So Tucker tries to win because he wants to give the big money prize to his mom so she can be home. In addition to having to fend for himself, Tucker is being bullied by a girl named Sam at school. Sam is actually in the same kind of situation that Tucker is in, she is going through a really rough time at home too. 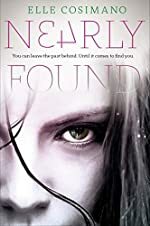 Sam's parents are dead and she lives with her uncle whose wife recently died. So Sam is trying to make money to support her family too. She ends up babysitting for Tucker's baby brother, Beech. Sam and Tucker wind up spending a lot of time together and they realize they have many things in common. They actually start to like each other and go to the school dance together. 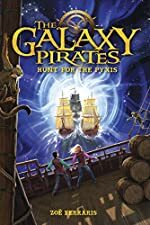 This book is great for anyone 10 - 12, with crazy events, amazing twists, and cool action scenes this book is bound for preteens. The vocabulary in this book is not very tough unless you're under the intended age group. If you would like funny comics and are interested in superheroes this book is definitely for you because there is a lot of humor and action in this book revolving around super heroes. There are not very many Illustrations in this book either so if you like pictures this book is not for you. Lisa Harkrader did an amazing job on this book and all the events within it. I can't wait to read her next book.